Vietnam is truly a favorite of many tourists. With its raw and narural beauty, it has always been one of the most visited countries in Asia, or even the world. However, many have admitted that Vietnam backpacking can be quite challenging. It sometimes becomes frustrating because some of the Viatnemese tend to be nasty with visitors. As with other places, some scams and other rather untoward incidents have been reported that hinder the tourists from fully enjoying the vacation in this wonderful place. But please do not be discouraged. Vietnam has really a lot to offer so the negative feedback should not stop you from being awed. You just need to know what you should expect so you will be prepared. Here is something useful things to know when backpacking in Vietnam. Vietnam boasts of a lot of tourist attractions. Hanoi, for one, is strange and chaotic- a lot are going on on the streets– eating, drinking, playing games, driving, but there is something about these chaos that adds to the awe you will feel while in Vietnam. Truly, Vietnam gives a different kind of feeling and amusement. So wherever you are in Vietnam, I suggest you just allow yourself to be lost, spend time talking to people, experiencing the Viatnamese kind of life, and you will be amazed by the satisfaction it will bring. There are a lot of interesting local markets in Vietnam that are worth-visiting, especially in the Mekong Delta where you can find the floating markets selling fresh fruits and vegetables. The Hue is also a great place to go to and see the Imperial Citadel and the nearby Tombs of the Emperors. You can also visit the tunnels of Vinh Moc. In the south of Vietnam, you can also visit the Cu Chi tunnels. Visiting the fishing village and the nearby sights, including the great little river canyon walk, in Mui Ne is also a worthwhile experience. Another that should be on your list is Hoi An, where there are a variety of affordable clothes to choose from. You can even have it tailor-made! 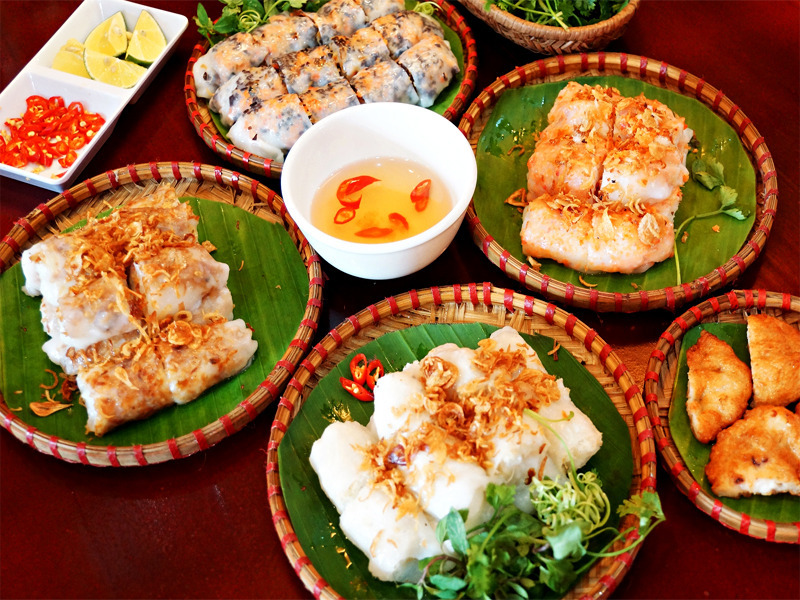 The food also in Vietnam is worth an experience! Viatnamese cuisine is amazing and there are a lot of street foods and local eateries available. Try some rice noodles, coffee, beer, and some of their summer rolls. The beaches, while they are not as great as the famous beaches, are good places where you can spend your day, too. The Phu Quoc island seems to be the best beach in Vietnam. Please do not forget to find tour companies with partner war veterans. This is the best way to learn about the history of Vietnam and the war. You will appreciate Vietnam more after the guided tours, so I suggest that you not rely on the photos. Accommodations in Vietnam are affordable, so room upgrading is possible. Some of the best hostels include Hanoi Dahlia Hotel, Jade Hotel, Phuong Nam Hotel and Villas, Long Hostel, and the Mojzo Dorm. You can get around Vietnam either by 1) bus, 2) train, or 3) motorbikes. By bus, you should buy a multi-stop ticket ahead of time. You may also opt to book buses one-by-one. If taking the train, it is more convenient to travel long distances. Then, motorbikes are easy to rent in Vietnam. Try this to better experience the countryside. So there, do not forget to read up about the scams in other articles, as these exploitations are prevalent and can be irritating, so you will be prepared if you are travelling to Vietnam.